When your loved one passes on, it's important to honor his or her memory. At Grove Place Cemetery, we help you through every step of the way of for handling all necessary burial arrangements and funeral services. Proudly serving the Rochester community we have grown to establish our cemetery as the premier provider of funeral services in the area. Explore our website, and read on to learn more about our services and burial options. Serving the Town of Chili and surrounding Rochester area. Whether you’re planning memorial service or handling burial arrangements for your loved one, taking care of a person's final arrangements is an important and meaningful process. At Grove Place Cemetery we work with you through each step of the journey to help you honor and remember the person that made such an impact on you. Each of our services give you the opportunity for personalization to allow you to truly reflect on and showcase the unique and individual life that you want to honor. Head to our Services page to learn more about our comprehensive burial and memorial services that we have to offer. Grove Place Cemetery is a cherished site that has been chosen by several generations of families as their final resting place. When a lot is purchased in our cemetery, permanent maintenance is covered in your payment so you'll never have to worry about deterioration of the gravesite. Not sure where you want your loved one to be placed? Our cemetery and graveyard have been electronically mapped to help you determine the ideal location of your loved ones resting place. Like each individual life, burial services should be special and unique to the loved ones they are honoring. At Grove Place Cemetery, we will work closely with you to plan your burial arrangements and services to make sure you are completely satisfied and prepared with the final results. From handling burial or cremation options to deciding ceremony venues, we we help make difficult decisions a lot easier during an emotional time. 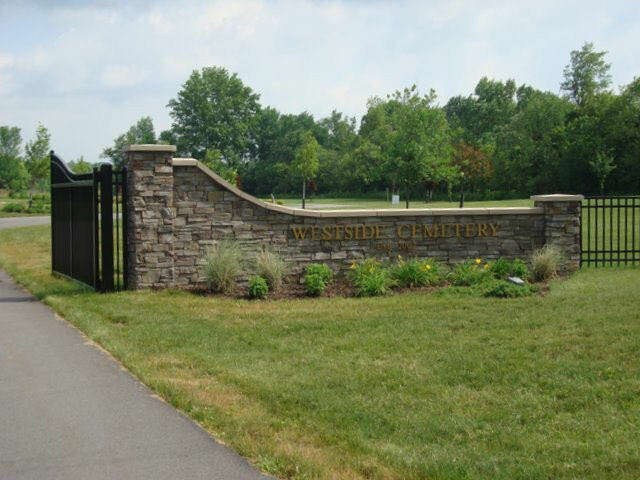 Head to our Cemetery Services and Arrangements pages to learn more about our quality services.